These biscuits are the bomb diggity. I love biscuits. Basically all biscuits (except Chick Fil-A’s…their food is awesome except their biscuits). But I tend to get lazy about cutting butter into flour. It’s so annoying! Sure, maybe it’s not the most difficult thing ever, but for some reason it always makes me feel like a failure. Then I ran across this recipe. 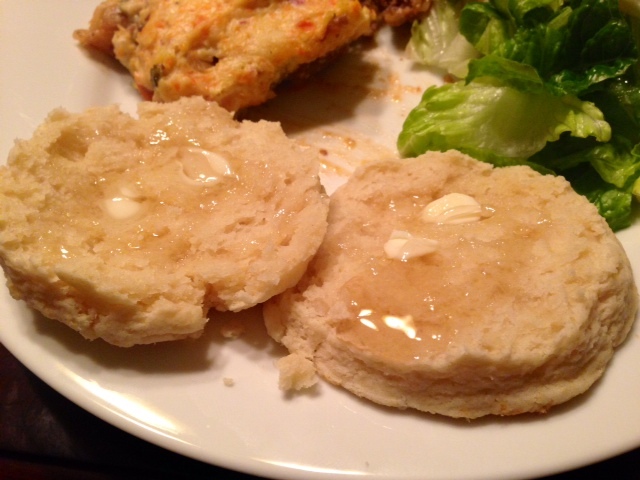 The cream provides the fat for the biscuit, so no butter-cutting necessary. 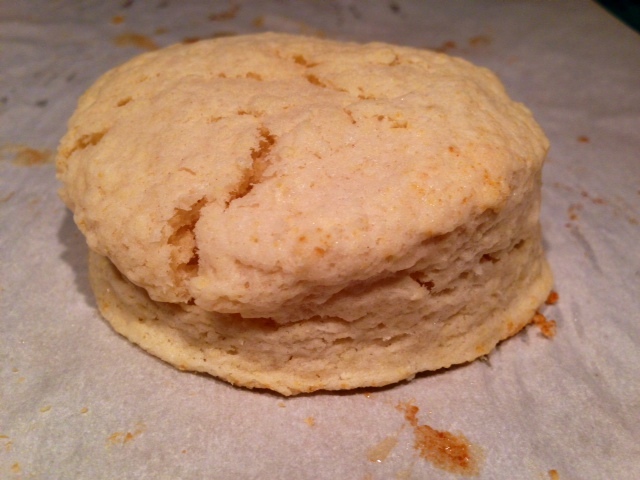 I was skeptical that these could possibly be as good as biscuits made the old-fashioned way, though. But I needed to throw a side bread together really quickly the other night and decided to try the recipe, and was stunned by how good these are. They’re light and fluffy and buttery on top, took five minutes to throw together, and are even almost just as good leftover. 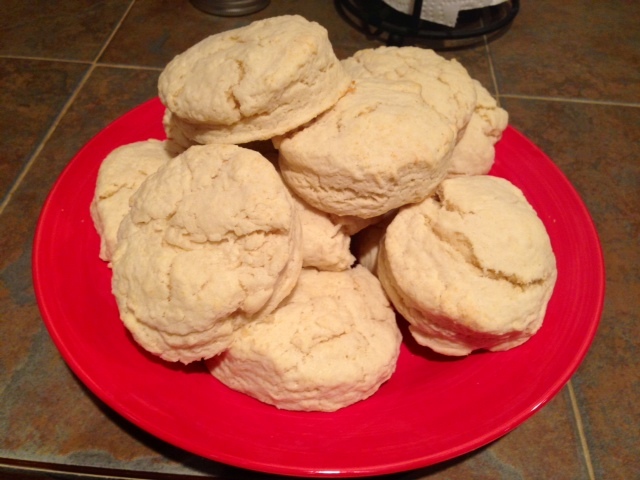 That’s right—GOOD LEFTOVER BISCUITS. It’s a January miracle. Preheat the oven to 425°F and line a baking sheet with parchment paper. Melt the butter in the microwave, then set aside. 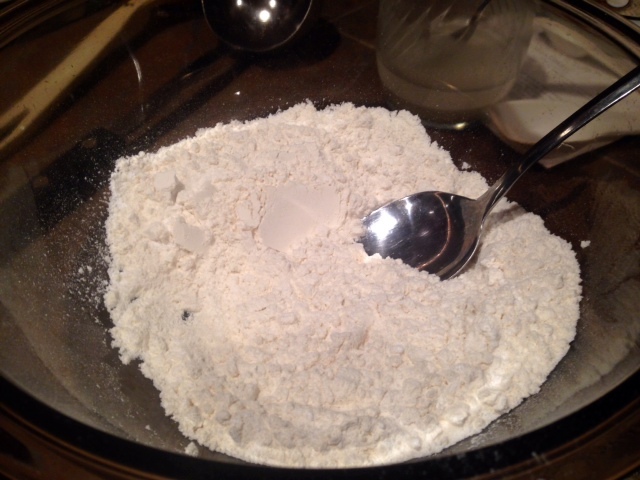 Sift or stir the flour, baking powder, salt and (if you’re using) sugar in a large bowl. Gently stir in about 1 1/4 cups cream, keeping a little behind. 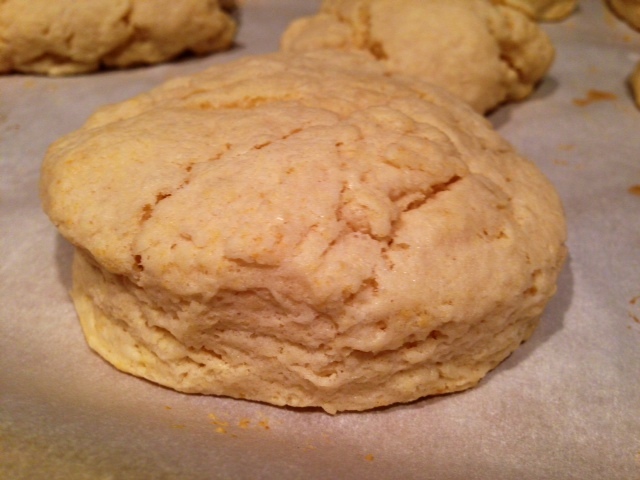 If the dough is too dry, not soft or not easily handled, stir in the remaining 1/4 cup of cream, a little at a time. I ended up needing to use the rest of the cream. 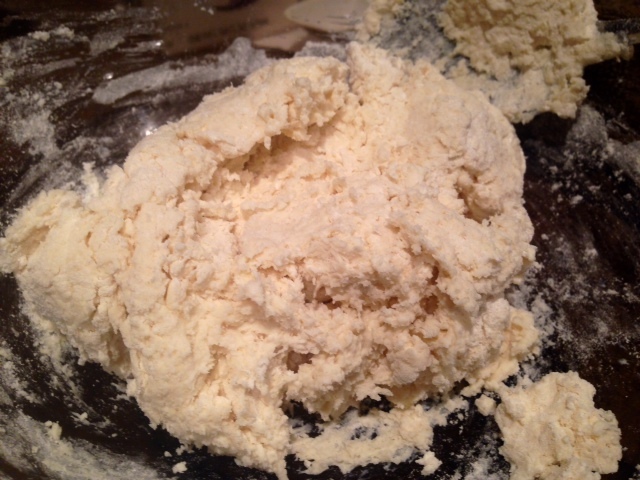 Turn the dough onto a floured surface and use your hands to mound it into a ball. Press it to a thickness of about 3/4 inch, maybe a little thicker even. Cut the dough into rounds (or squares, or whatever shape your heart desires). Smoosh all the extra dough pieces together and continue to make them into biscuits. 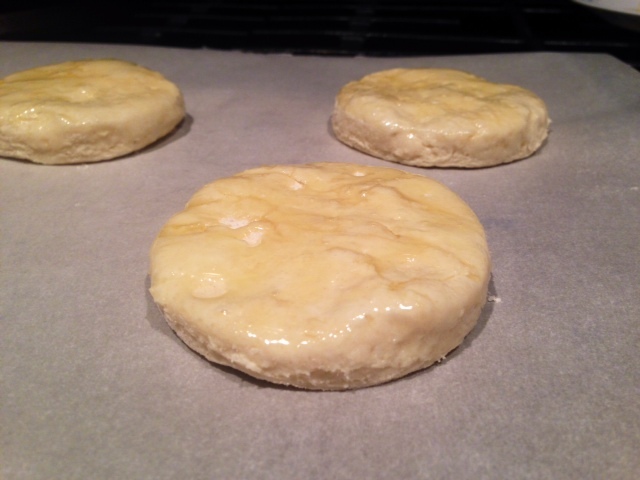 Then dip the top of each biscuit into the melted butter and arrange on the baking sheet. Bake until golden, about 12 to 15 minutes. Serve immediately. You also can flash freeze them and bake later (just add a few extra minutes for baking). These are so light and they melt in your mouth, plus I was super excited by how good they were as leftovers a couple days later! Preheat the oven to 425°F. Line a baking sheet with parchment paper. Melt the butter in the microwave, then set aside. 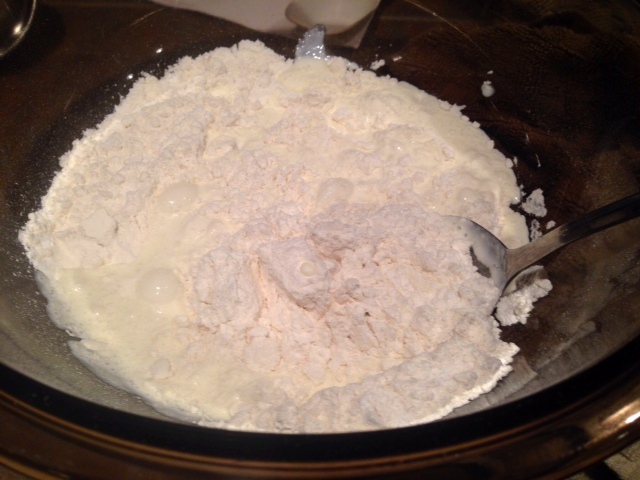 Sift or stir the flour, baking powder, salt and (if you’re using) sugar in a large bowl. Gently stir in about 1 1/4 cups cream, reserving a little. If the dough is too dry, not soft or not easily handled, stir in the remaining 1/4 cup of cream, a little at a time (I did end up using the rest of the cream). 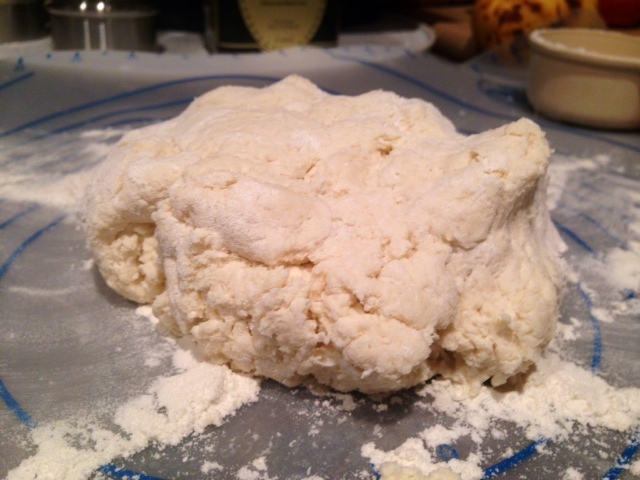 Turn the dough onto a floured surface and use your hands to mound it into a ball. Press it to a thickness of about 3/4 inch, maybe a little thicker even. Cut into rounds (or other shapes, if you prefer). Gather the dough scraps and continue to make rounds. 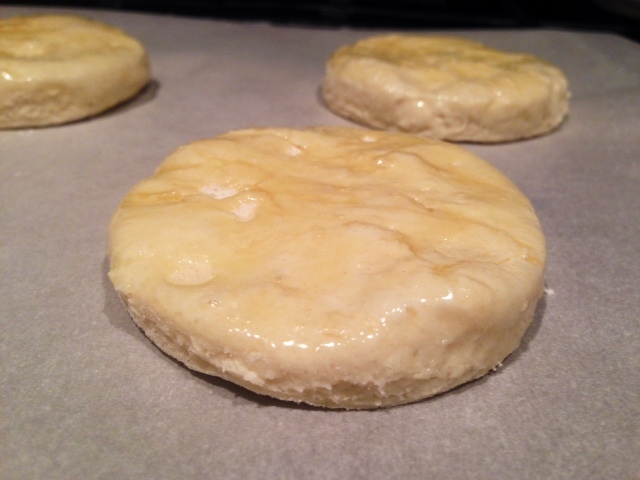 Dip the top of each round in melted butter, then arrange on the baking sheet. Bake until golden, about 12 to 15 minutes. Serve immediately, or flash freeze for future use. [Biscuits can be baked straight from the freezer, and additional few minutes baking time will be needed, usually around 3 to 5.] They’re also surprisingly great as leftovers.